We drove the rental car to Deising's Bakery for breakfast. 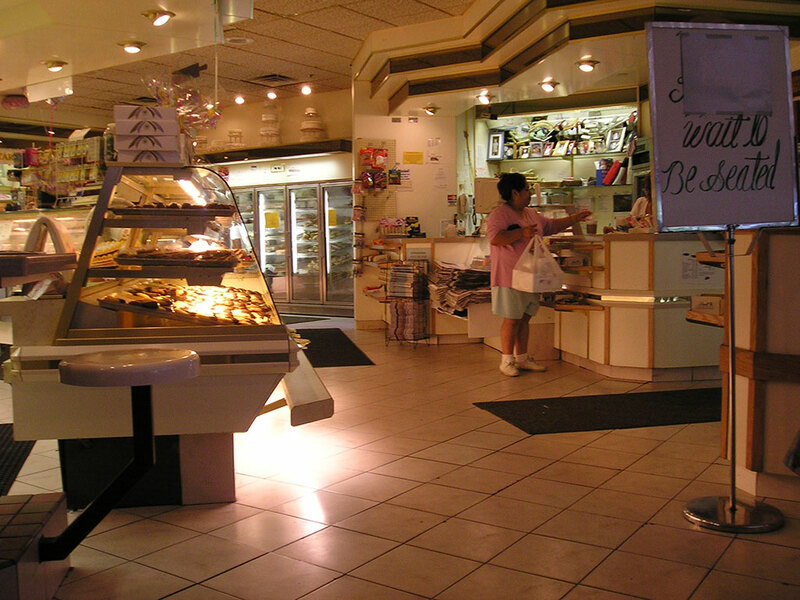 The bakery offers more than 300 different items and is an incredible place to eat and watch what goes on. At 10:30AM we left the harbor for Troy NY. As we turned North into the Hudson we passed a 25ft Albin, a Swedish built trawler that we were keen on getting in the early 70's. A couple from Mactaquac New Brunswick were aboard. They said they were going as far as Catskill. 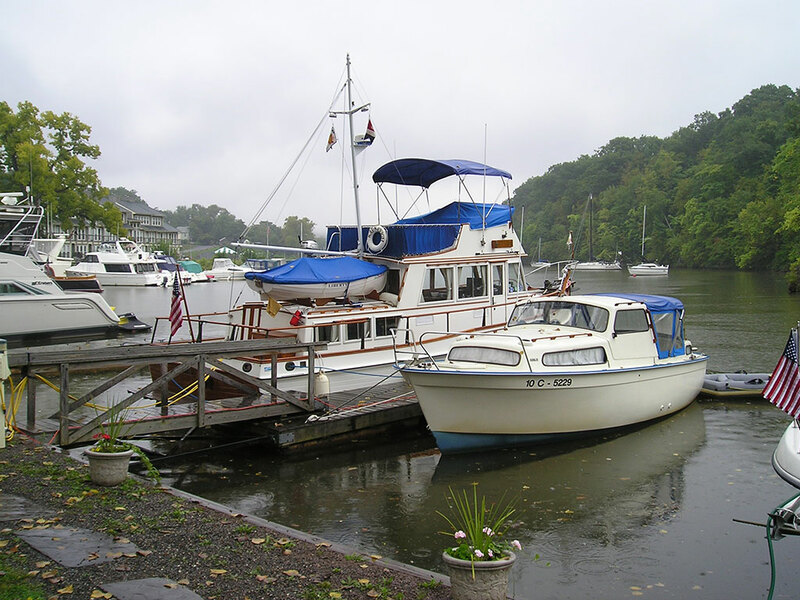 Around noon the rain from Hurricane Ivan began so we decided to go into Catskill as well. The water was so calm and quiet in Catskill Creek that we were able to back into our slip. The home of Frederick Church, Olana is near here and we all took a taxi across the Hudson and up a mountain to the home. It has an incredible view but in the rain we could not see clearly. Frederick Church was a famous 19th century painter of landscapes. 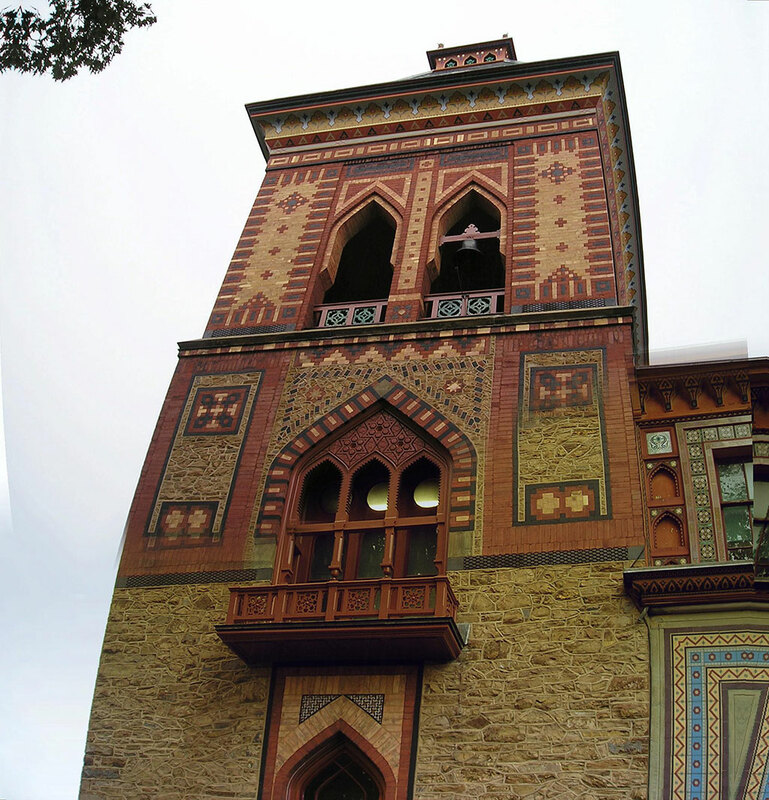 His house built in 1879 was a strange mixture of Arabian and American but with beautiful detailing everywhere. Dinner was at an Italian restaurant about 1/2 mile away. It was very good but we got very wet walking both there and back.